More of the same right on through the first half of the weekend. 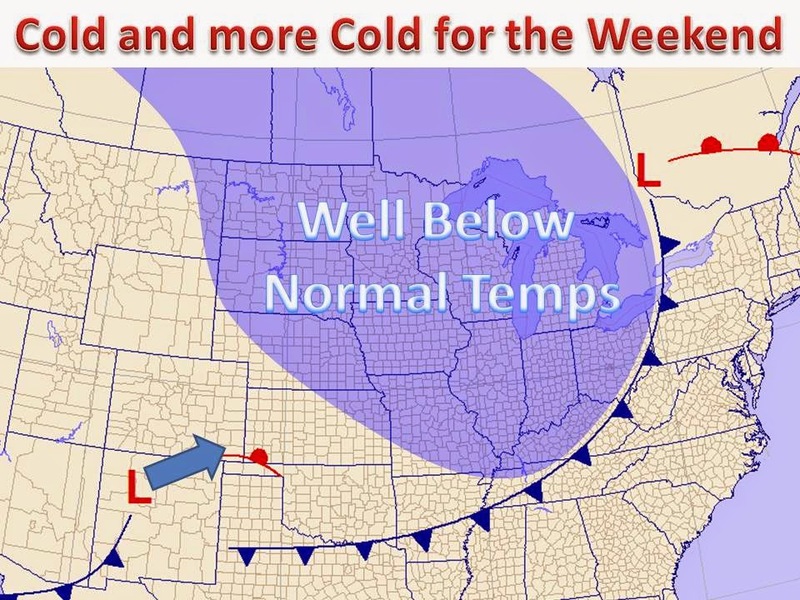 After a week of above normal temperatures, we are stuck in a pattern of chilly weather. Welcome to April! A cut-off area of low pressure off to the northeast will slowly sift to the east over the next few days. For the Midwest, this means that winds will come straight out of Canada and usher in cold air. Areas near the lakes will be even cooler and water temperatures continue to be cool. Meanwhile, another storm system will move up from the four corners regions and set up for a soggy, yet much need rain across central parts of the Midwest. Relief does set in by Sunday and next week as temperatures climb back to normal levels and the sun peaks out yet again.